New non-fiction books are always fun to browse, and this month is no exception. Dead Wake: The Last Crossing of the Lusitania by Erik Larson is an incredibly detailed narrative of a well known event of World War I, the German attack on and the sinking of the Lusitania. 100 Years of Brodies With Hal Roach: the Jaunty Journeys of a Hollywood Motion Picture and Television Pioneer by Craig Calman is a book featuring the illustrious film career of the legendary film producer Hal Roach, famous for Laurel and Hardy , Our Gang Comedies, Topper, Of Mice and Men, and television series such as My Little Margie and the Gale Storm Show: Oh Susanna!. Gateway to Freedom: The Hidden History of the Underground Railroad by Eric Foner brings to life the story of the Underground Railroad . The Handy Investing Answer Book by Paul A. Tucci is a question and answer guide to investing. This book explains the differences in various investment instruments, clarifies concepts and definitions, and introduces investment strategies. 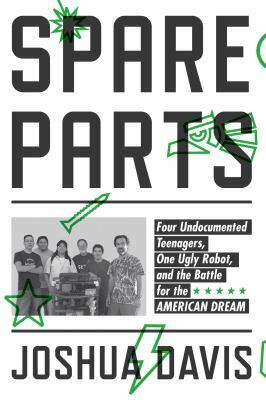 Spare Parts: Four Undocumented Teenagers, One Ugly Robot, and the Battle for the American Dream by Joshua Davis is a story about four Mexican American students who come together and build a robot out of scavenged parts, and win the “Marine Advanced Technology Education Robotics Competition at the University of California, Santa Barbara (2004). But the story also involves tails of immigration laws and the triumphs and tribulations for these four boys before and after the competition. It is not just about New Year’s resolutions, the focus for Americans today seems to be about Healthy Lifestyles. There is information on healthy eating, special diets, healthy aging, and lifestyle changes in general. This trend of course is a tremendous boon for publishers, and there is definitely something for everyone. 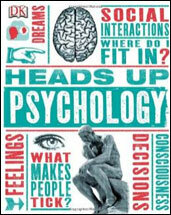 Below please find some of our New Non-fiction books to pique your interest. 20/20 Diet: Turn Your Weight Loss Vision Into Reality by Phil McGraw. This book explains seven reasons why dieters hit dieting roadblocks . The book also educates the reader in why they should eat the “right” foods to fuel their body properly. There is a diet or food plan included that can be continued for the rest of one’s life. The Gluten-Free Revolution: Absolutely Everything You Need to Know About Losing the Wheat, Reclaiming Your Health, and Living Happily Ever After by Jax Peters Lowell. This book is packed with the newest information and resources on living without gluten. It guides readers through the basics of reading labels, preparing foods at home, and dining out. The Rockstar Remedy: A Rock & Roll Doctor’s Prescription for Living a Long, Healthy Life by Dr. Gabrielle Francis. In this book, Dr. Gabrielle Francis, a holistic practitioner to the music industry’s elite, shares her inner secrets on keeping these performers at the top of their game, in spite of the fact they also party like rock stars. Vitamania: Our Obsessive Quest for Nutritional Perfection by Catherine Price. An entertaining and enlightening investigation into the unregulated world of nutritional supplements. The author leans toward getting one’s nutrition from real food. 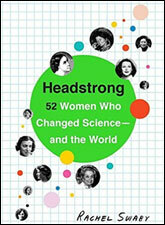 Posted by CCLD in New Non-Fiction, Recommendations. “Glamour, Gidgets, and the Girl Next Door: Television’s Iconic Women from the ’50s, ’60s, and ’70s” by Herbie J. Pilato. This book is a celebration of the wonderful women of television that many of us grew up with. A fact filled book that tells these women’s stories, and praises their talents; as well as a resource book for those interested in Television Industry history. “Yeah! Yeah! Yeah! The Story of Pop Music from Bill Haley to Beyoncé” by Bob Stanley. This book is an entertaining summary of pop music traced through familiar songs and musicians. It is an informative and humorous telling of the history of this music genre. “Behind the Curtain: An Insider’s View of Jay Leno’s Tonight Show” by Dave Berg. This book was written by Jay Leno’s “Tonight Show” co-producer of 18 years. It is an entertaining and insightful account of Jay Leno and the making of the “Tonight Show.” It tells the story of the antics, humor and strategies behind the scenes of America’s leading late night TV show. “Dreamers and Deceivers: True Stories of the Heroes and Villains Who Made America” by Glenn Beck. This book tells the untold story of familiar characters from history, including entrepreneurs, frauds, and charlatans. Once again Glenn Beck peaks our interest in this new series on history. A biography is a detailed account of a person’s life experiences, while an autobiography is written by the person themselves. If you are not familiar with our collection, the Chemung County Library District has a significant collection of biographies and autobiographies. While our library collection is a great resource for school assignments, it also can be an enriching experience to savor the detailed story of an interesting actor, politician, scientist or anyone you might admire. For the month of November, I am featuring several new biographies that have recently been added to our collection. “Maeve Binchy: The Biography” by Piers Dudgeon. A comprehensive and uplifting biography of the much-loved Irish write that shows her life story was reflected in her books. “Charlie Chaplin: A Brief Life” by Peter Ackroyd. a well-written portrait of the beloved film star, portraying the story of a gifted and complicated personality. “Respect: The Life of Aretha Franklin” by David Ritz. A powerful portrait of one of the greatest musical talents, portrays the hardships and triumphs of her life story. “John Wayne: The Life and Legend” by Scott Eyman. An entertaining portrait of an American movie icon, skillfully traced from his early childhood through his amazing Hollywood career. Posted by CCLD in New Non-Fiction, Steele.